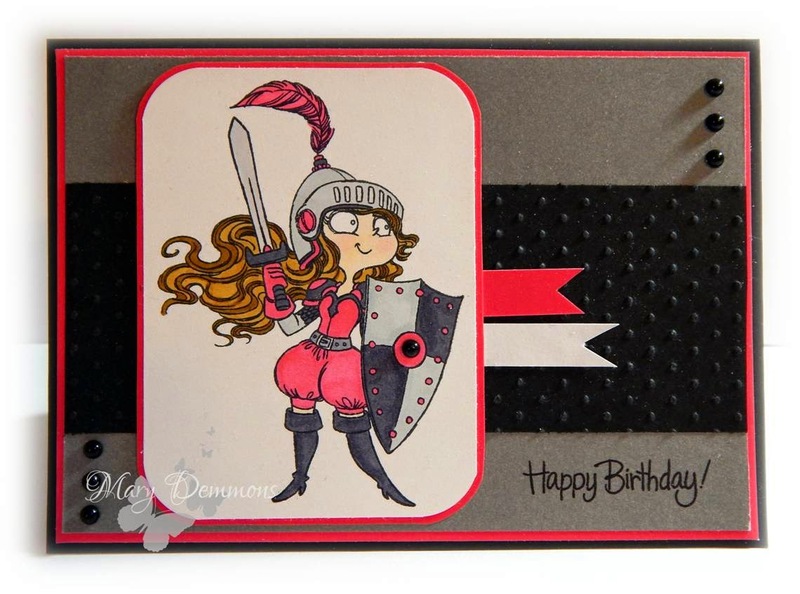 I created this birthday card using Kiersten The Knight from Kraftin' Kimmie Stamps and paired it with the optional April sketch from the Kraftin' Kimmie challenge blog. 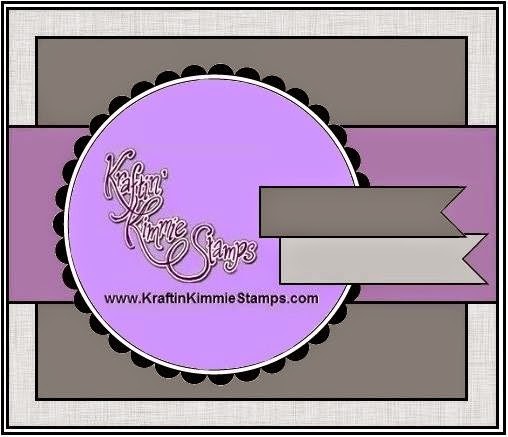 I started with a black card base and added a layer of hot pink card stock and a layer of gray card stock. I then cut a piece of black card stock and embossed it using a dot embossing folder. I colored the image using Spectrum Noir pens. Instead of cutting the image into a circle I opted to cut it out in a rectangle and round the corners. I backed the image in hot pink card stock. 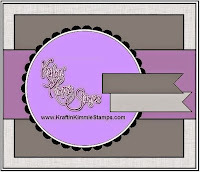 I added a strip of hot pink card stock and a strip of white card stock coming out from under the image and then stamped the sentiment "happy birthday" onto the piece of gray card stock. I added 3 black pearls at the top corner and 3 more black pearls at the opposite bottom corner. I also added 1 black pearl to the center of her shield. Pretty design! Love this Knight image, and great take on the sketch. Thank you for sharing at ATSM. What a marvelous Knight image, and your colouring...so impressive! Thank you for sharing your creativity at ATSM! Lovely creation! Beautiful image and design! 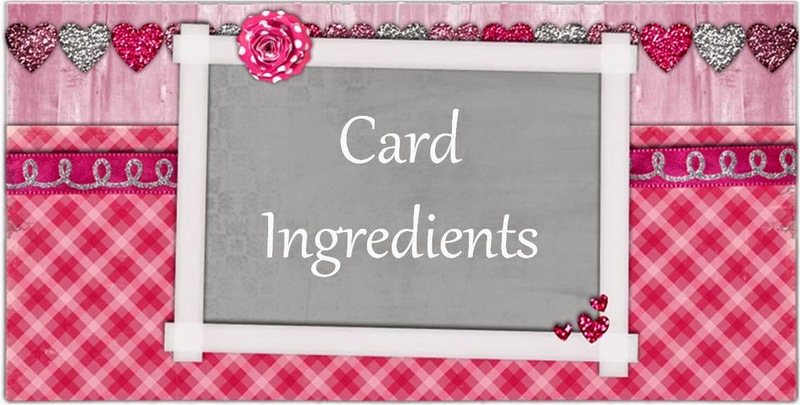 April Challeneg "Make a Card". Rather belatedly Mary, just popping in to thank you for joining in at Stamping Sensations challenge and with such a super entry.